Henson Recording Studios, in the heart of Hollywood at the former A&M Studios, is one of the music industry's top recording facilities known for its world-class blend of state of the art and vintage equipment. 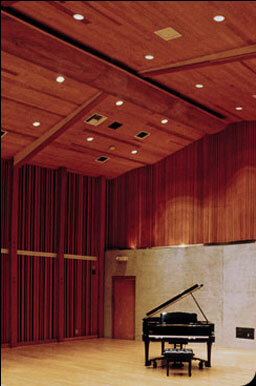 Since 2000, Henson Recording Studios has continued the legacy of technical expertise and excellent service founded at this location by Herb Alpert and Jerry Moss in 1966. With five studios capable of meeting the needs of the industry's most discerning clientele, Henson Recording Studios features a seasoned, dedicated staff of technical engineers as well as the ability to draw from a diverse pool of highly qualified engineers. Additionally, the Studio's support staff takes pride in anticipating and exceeding clients' needs with professionalism and discretion. Highlights from the Studio's prolific and legendary credits include Whipped Cream & Other Delights (Herb Alpert's Tijuana Brass), Tapestry (Carole King), Blue (Joni Mitchell), Rock & Roll (John Lennon), A Kind of Hush (The Carpenters), We Are The World (USA for Africa).